Judd's Peak is an acre look-out spot at the end of Judd's Peak and Orchard Hill roads. It was bought in 2014 with the combined funds of seven organizations to ensure that this beauty spot would never be developed. This high peak overlooks the mountains, which nestle Saluda. 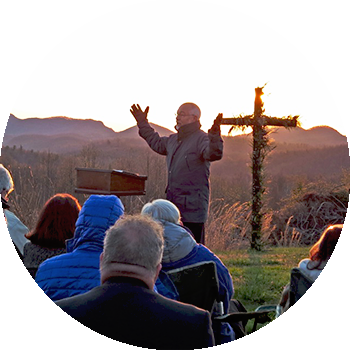 Many Saluda folks gather at this spot to watch for sunrise on Easter morning. 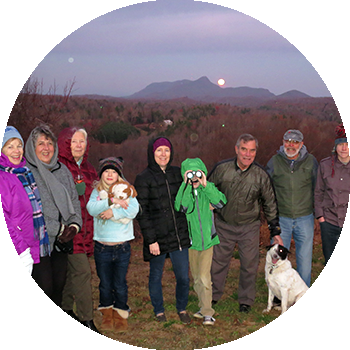 Local residents gather to watch the full moon rise when the weather gods dane a clear sky. 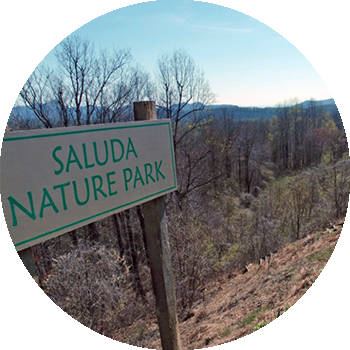 One entrance to the Saluda Nature Park begins on the crest of Judd's Peak. Judd's Peak is also available for special events and may be reserved through our office. SCLT’s work has been made possible through the generous support of private donors, members, the Polk County Community Foundation, and the Bradley Fund. SCLT's 2017 operating expenses are paid for by a grant from the Polk County Community Foundation.